Sicily: Fast Action Battle – Operation Husky unleashes Patton and Montgomery in the Race for Messina. 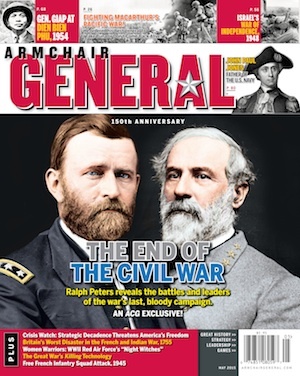 Board Game Review | Armchair General Magazine - We Put YOU in Command! Passed inspection: Gorgeous map. Good balance of detail with speed of play. Elegant method for integrating air support, artillery and low level supporting units. Game contains two scenarios, plus an introductory scenario. Supports exploration of alternative strategies. Failed basic: Rules were a bit dense and could benefit from better organization. In July, 1943 the Allied armies invaded Sicily and took the war to the Axis home turf. The invasion – known as Operation Husky – is a bit of a paradox. It’s both a well-known iconic military campaign in which generals Patton and Montgomery competed with each other in the “Race to Messina” while at the same time, the details of that race have receded into the dusty recesses of faded memory. Fast Action Battles: Sicily, from GMT Games, blows away that dust and shines a light on the campaign. A light that reminds us that the battle for Sicily was much more than just a public relations contest between two Allied generals. Rick Young, the designer of the ‘Fast Action Battle’ (FAB) series of games, sought to provide a good introductory wargame that captures the feel of the battles being modeled. GMT labels the game with a complexity level of four. Not too tough, but certainly above the level of a beer and pretzels game. Sicily: FAB is an area movement block game that provides a degree of the fog of war by concealing the details of enemy units from the opposing players. The blocks represent elements of the static garrisons and major combat units of the Allied and Axis armies. Each block for a regular unit roughly equates to a brigade – regimental combat team sized unit. The garrison blocks are more like battalion-regimental sized units. GMT includes extra blocks and a duplicate set of the sticker sheet so if the unthinkable happens and you lose a block you can replace it from your spares supply. Nice work GMT – that’s a classy move! Smaller units, referred to as ‘assets’ represent low level supporting units such as a headquarters staff’s planning ability, artillery, engineers and smaller combat formations that could be cross-attached between divisions. These assets are depicted with counters showing the unit type and name in the standard format familiar to many wargamers. In addition to the ground forces, your assets can include air support and naval gunfire. The map is clearly delineated into areas corresponding to sections of the landscape. Across those areas is a depiction of the rivers, hills and mountains that make up the physical landscape. Mark Simonitch, the graphic designer has done a fantastic job in his depiction of the Sicilian landscape that is in many ways reminiscent of the maps that accompany the US Army’s official history or Esposito’s classic Atlas of American Wars, Volume 2. Sicily: FAB gives a good feel for the topography of the landscape and how the ground becomes increasingly more defensible as you approach the northeast quadrant of the island. There, hulking in the northeast lies Mt. Etna as imposing a feature as the fictional Mt. Doom. Mt. Etna dominates the landscape serving as a defensive fortress and bulwark of the Axis defenses. The map nicely depicts how the rivers dissect the island forming natural defensive lines against attack. The various beaches suitable for amphibious landing are all represented, presenting a clear picture of the length of the coastline that must be defended. Beyond the landscape the map board captures the places important from a military strategy context – the cities, ports and airfields that were the objectives of the campaigns. These break down into the four port cities of Palermo, Messina, Catania and Syracuse and the airfields at Gela and Masala. Connecting the places is a road net that meanders over the landscape. Conforming to the topography, the road net conveys the sense of being a part of the landscape, rarely taking the direct route when an indirect path that hews to the contour of the land was an option. A 24-page rulebook contains all the ‘core’ FAB rules as well as a separate section for the rules specific to the Sicily game. While it’s meant to allow players familiar with the series to jump right in and study the game specific rules, it was a bit daunting for a new player to flip back and forth between the two sections. Fortunately, the book comes with a short table of contents as well as a three-page index which helps you quickly find the relevant sections of the rule book. The rules are nicely done with graphics giving clear examples that reference the specific rule. For example, when the rules speak to units – you’ll see a depiction of what they mean by a unit. The same holds true for the game board, counters and the various tables and charts. The document format follows the old school decimal format of 1…1.1….1.1.1 used with board games rules for at least the past four decades. A separate 32-page playbook contains short sections of designer’s notes, player’s notes, the three scenarios and detailed examples of the various sub-phases within a game turn. The examples of play are very well done. Each is a synthesis of an illustration of the example combined with detailed annotation describing the action under review, complete with references to the main rulebook. Almost every question you might have can be found in one of these examples in the playbook. Sicily: FAB has a number of charts. These include; a turn sequence chart, a combat flow chart, asset action summary and Italian unit summary for the effects of fading morale. At first glance this seemed like a lot of charts, but most of your time is occupied with the turn sequence and combat flow charts. The others are great quick reference charts, but you won’t be constantly using either of them. The turn sequence chart is a double-sided chart with the basic turn sequence and movement rule summary on one side. The reverse of the chart contains and expanded turn sequence detailing all the sub-phases and the order of events. The combat chart has the sub-phases required to resolve each combat. This is a functional flow chart that steps you through each sub-phase and explains how a single battle is resolved. While there is only one copy (presumably for the phasing player conducting the attack), two copies would have been nice so each player could follow along through the action. The asset chart provides a one stop shop that breaks down when an asset can be used and what it can do. It’s a very helpful aid for players new to the series, but after a few games, you’ll remember what most of the units can do. The fading Italian morale chart is helpful just to keep track of the various effects on the various units across the game. This is a good handy reference for the players to document what the status of a unit becomes as the Italian morale starts to crack and crumble. The game plays much like a conventional IGO/UGO game. The exception is that within each player turn the non-phasing player has the ability to perform limited actions – mainly participating in the defense of each battle, but also with the ability to perform move and attack with reserve units, as well as perform administrative actions such as blowing up bridges or constructing field fortifications. The turn sequence results in a game where both players are engaged throughout the entire game turn with the opportunity to expend assets on key actions that influence movement or combat actions. The block game aspect introduces a limited fog of war by concealing the exact identity and strength of units, though the unit count is low enough that you’ll keep track of the really important ones. While it’s not a card driven game, the event counters and asset counters give it a little bit of the flavor of a card driven game. Assets are counters representing battalion level ground units, or abstract allocation of forces such as air support or naval bombardment. Other assets represent the ability of each faction’s command and control infrastructure to influence the course of the battle. These ‘special actions’ can allow a player to bolster a weakened unit with reinforcements, push an armored unit into exploitation, reinforce a defending unit with adjacent troops or even pull defenders out of a battle that looks to be unfavorable. There are a handful of events that model events such as the collapse of the Italian will to fight, the shift in air superiority as airfields are captured and events such as the infamous ‘Patton slap’ incident. The game mechanics – once mastered – live up to the series being “fast action battle” games. Once you understand how things work, you can roll through movement and combat each turn relatively quickly. The game mechanisms give the feel of launching big brigade/divisional attacks. As the blocks represent your combat brigades and you can stack two blocks an area, you start to view operations as committing a division to combat. The game rewards this view by given a divisional integrity bonus in combat if the divisional brigades stay together. It’s a nice nod to representing the synergistic effects a division gains from fighting together rather than as separate brigades (and a lesson being relearned on the modern battlefield today). Further reinforcing this view is the ability in each combat to add in supporting assets such as artillery, tanks, additional troops and engineers. Each combat starts to feel like you are the corps commander managing the efforts of that specific division by feeding in supporting assets. In a way it’s like for each combat you create a customized ‘order of battle’ with the division and its roster of temporary attachments from the corps and army support elements. This continues through the mechanics of each combat phase. The specific mechanics of artillery and ground combat resolution impart the perception of fighting a formal battle. After you have defined your order of battle, you’ll conduct the preparatory artillery barrage and suffer any defensive counter fire. This can include the effects of naval gunfire support if present. Following the quick barrage, the ground offensive kicks off with the defender getting in a shot (and inflicting losses) before the attack gets a chance. Lastly the attacker resolves his attack using those troops which survived. This will include not just the divisional blocks, but also those supporting units (the assets) you assigned to participate in the attack. In the end, each side will have adjusted their unit strengths (and/or lost assets to soak off those losses). Each side has ways to mitigate the effects of the combat including breaking off in the face of heavy losses, or disengaging and retreating from the battle. If combat support assets were committed, you can ‘soak off’ the losses into the smaller battalion sized formations. For the Germans, the small Italian detachments often function as ‘meat shields’ as their sole purpose is to suffer losses that preserve the combat power of the German formations. Overall the combat mechanism does a very nice job of creating a short narrative for each battle with the addition of the assets and the flow of the battle adding the color and flavor that will make each battle unique. Winning the game is measured through the standard tool of victory points (VP). VP’s are earned through two means: control of key geographic areas and the elimination of enemy formations. In this case, enemy formations are the big units represented by the blocks. For example, you could lose all three US Ranger battalions (represented by assets) and you won’t lose any VP, but lose one of the 9th Infantry Divisions Regimental Combat Teams and you just lost a victory point. The sum of the areas you control and units you destroyed are compared to your opponent and the net difference indicates who is in the lead. Who’s in the lead translates into who wins at the end of the game by referencing the victory index to determine who wins and with what degree of victory is achieved. But wait, there’s more! 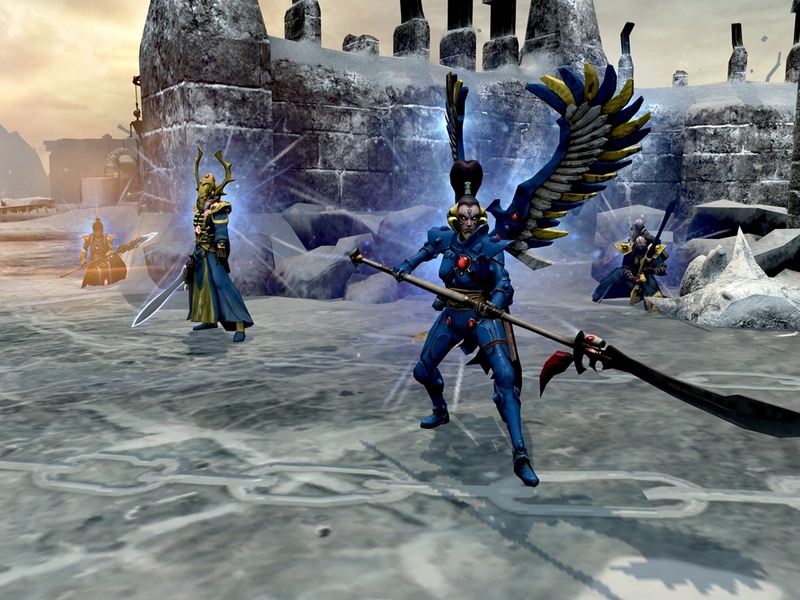 The game also includes a sudden death victory condition that measures if either side has done well enough at the end of each game turn (starting with the fourth turn) to achieve an automatic victory. That nine-turn game may end on the fourth turn of either side has done exceptionally well! It results in a game in which the Axis have a challenging task as if they lose of too many regular units it will cost them the game. Yes, the Allies have the tough task of attacking, but between the constant trickle of replacement actions the stream of one-time special actions and the horde of small supporting assets arriving over the beach, it unlikely they will lose many regular units. The game has good replay potential. The playbook contains three scenarios – Sunrise bridge, the Tournament game and the Campaign game. The scenario for Sunrise Bridge is a perfectly sized introduction to the game, but can also serve as a short game for those with space or time constraints. Sunrise Bridge plays on a separate, 8” by 11” map that duplicates the area around Syracuse on the main map and has its own reinforcement charts. At four game turns, the game won’t drag on forever – the British player will need to be aggressive if they are to achieve their goals. Sunrise Bridge uses most of the rules in the game with the exception of events. The tournament and campaign games are similar except for their lengths. The tournament game runs for five turns while the campaign game runs for nine turns. In each case, the game can be shorter is the sudden death victory condition is achieved. For the tournament and campaign scenarios, the game has a standard format that offers both the historical or alternate landing plans. They players should agree beforehand that the Allies have the option to choose as otherwise the Axis defender has the chance to stack the deck with the deployment of defending garrison units. The alternative landing plan provides much more variety in terms of attack options. It’s not a total sandbox experience and the need to focus on ports and airfields mean that the shape each plan takes will be roughly similar. But players will have some flexibility in exploring the interplay between different invasion and defensive plans. When unboxing and setting up the game, the enthusiasm to get playing was high. Even the short effort to get the labels on the blocks did not tarnish the excitement. But unfortunately, the rule book put a damper on things. Sicily: FAB was our first FAB game. It took a bit of reading to sort out where the scenarios were and understand the various units, assets and actions. Having the rules split between the standard core rules and the rules unique to Sicily slowed things to a crawl. While some external factors may have played a role, the rules format felt like a puzzling obstacle. The low point was sitting there staring at the board wondering exactly how to kick off the game with the amphibious landing. Fortunately, that puzzlement was rapidly alleviated by both the extensive rules index and the clear, limited scope of the introductory scenario (Sunrise Bridge). It may not have the rewarding challenge of Monty versus Patton, but Sunrise Bridge is the perfect primer for learning the game mechanics and understanding the flow of the actions over a few short game turns. If you are new to the FAB series – give yourself the time to a.) read the playbook and b.) start with the introductory scenario. Doing both will speed you along to getting the full game on the table with confidence in your mastery of the rules. With that mastery of the rules, you should find that Sicily: FAB is a challenging game that definitely captures the feel of both the combat and the decision-making that took place in the historical campaign. For example, in the first play through, the Allies rapidly bump up into a vexing problem. The British landing zone (Zone “B”) is just too darn small. The northern end of the landing beaches abuts Cantania and the Simeto river. Pushing north requires an opposed river crossing into the teeth of prepared defenders. You can’t just push west around the river line as your operational boundary marks that space as part of the American zone. This artificial boundary – created by the allies as part of the invasion planning! – makes it very difficult to maneuver your divisions and bring your firepower to bear on the Axis forces. Sitting there staring at the map and debating what to do, the obvious solution practically screams at you – you need to shift the Eighth Army operations boundary to the west so you can swing around the river line. It’s going to be disruptive, but you need to shift the Seventh Army zone further west so that Eighth Army has room to outflank the Simeto River line, seize the airfields at Catania and begin to envelop the defenses of Mt. Etna. The game allows you to do this through utilizing your special action assets to release some of the British units from the boundary restriction and have those units to move to the west. Which is exactly what the historical 15th Army Group commander, General Sir Harold Alexander did to solve the exact same problem! To the ire of Americans who perceived being pushed aside by Monty’s quest for glory, General Alexander gave Eighth Army the room it needed. Once the shift was completed, the Allies could get back to the task of defeating the Axis forces and driving on Messina. It’s a sure sign of success when a game replicates the decision making of the historical participants in an organic way that flows from the needs of strategy and tactics and not from an artificial construct of mechanics. Rick Young nailed it with Sicily: FAB. It was rewarding and satisfying to find the game was putting you in the same position as the historical commanders. The game has great replay value as you can explore the effects of various Allied landing plans. In the lead up to the invasion, Montgomery vigorously opposed the original landing plan for HUSKY that would have each army land on opposite sides of the island. Now you can play out how that landing would have unfolded if the original plan had prevailed and see if Montgomery was right. So, grab a copy of Sicily: FAB and get busy. Victory awaits!